Wine tastings regularly. Visit our website for more information. Located in Old Montreal, Le Muscadin is an elegant Italian restaurant known for its fine cuisine, distinguished service and impressive wine cellar. With its professional yet intimate atmosphere, Le Muscadin is the ideal place for business lunches, social dinners and special celebrations. " Des options végétariennes, végétaliennes et sans-gluten disponibles sur demande. S'il vous plaît contacter le restaurant si vous avez des restrictions alimentaires et il nous fera plaisir de vous accueillir/vegetarian, vegan and gluten-free options available upon request. Please contact the restaurant should you have any dietary restrictions and it will be our pleasure to accommodate you. Super expérience pour l’anniversaire d’une amie . One of the best Italian restaurants we have ever experienced! The wine-superb. The salad and crab cakes- spectacular. The linguine pescatore -phenomenal! The perfect finale was the crepe Suzette for two. The quiet guitar player provided the perfect ambiance and the waiter and hostess were perfectly attentive and engaging without being intrusive. Truly a special experience and tremendous value. We strongly recommend this gem of a restaurant. Cheers! This is the best Italian Restaurant in Montreal! The ravioli you must try! What a charming Italian restaurant located a few steps from our Hotel William Grey. The service and food were excellent. We ended the evening with crepes which the owner prepared wonderfully. Will be back when we visit Montreal again ! Formal high end Italian. Excellent service. Delicious food. Wine list is 100% Italian. Romantic ambience. The ambiance is one of old school elegance and charm. I was very well looked after by the entertaining owner and knowledgeable waitstaff. The food was excellent as was the wine. All and all a five-star experience! You always feel welcomed. Good food. Good staff. Good service. Can't go wrong. 5 stars across the board for this restaurant. From the moment you walk in you feel great. All the staff was amazing, from the Maitre'd Leo to our waiter Duarte. We had a fantastic time before we even began to eat. The food was outstanding and the prices very reasonable for the quality and quantity of the food. I will come back to this place when I am back in Montreal. Excellent service, atmosphere and food. If you’re looking for a classy and great Italian place. Look no further. The owner, Léo and his daughter Josie take care of checking each and every table several times to make sure everyone is well taken care of. We will come again and again. Had friends in from out of town and want a nice quiet evening to enjoy a nice supper and catch up. The food was excellent we both ordered the rack of lamb for two and the flavors were great and each cooked perfectly to our liking. Our server was great he took could care of us. I had been to their old place several times before, first time at their new location. The ambiance was great our spouse loved the guitar player and his singing it was at the perfect level to enjoy his music and us being able to talk and catch up. We all had a marvellous time. Absolutely amazing. I’m not the type to write reviews, but this place was fantastic. I was visiting from California for 4 days and it was so good I had to go back a second night before I left. They really make you feel like family and the food is perfect. The owners, the staff and the ambiance is just outstanding!!! You feel as if you have been invited to a private party of the owners and you are treated like family from the minute you arrive for dinner to the time you leave ... music laughter friendship food vino cigars !!!!! Leo and Josie Iacono, the owners are both amazing host whose customer service is off the charts ... they have and continue to make every one of our visits to Le Muscadin a memory we will cherish forever ! Amazing experience! Food, service, music, ambiance...everything was exceptional! Une cuisine remarquable (qui vaut certainement le détour) alliée à un accueil chaleureux et un service impeccable (efficace sans être guindé), et cela dans une environnement très agréable, que peut-on demander de plus ? Ce restaurant a l'art de rendre les convives heureux. The food, staff and family makes you feel like you are at home! We will be back! Incredible food and staff! Will recommend! While in Montreal for a long weekend with friends we chose LeMuscadin because of the rating on Open Table. It was better than expected. Food was excellent, service was spot on but what rounded out the experience was the interaction we had with the owner. He made sure we were taken care of like we were regulars. Next time we are back in Montreal we will make another stop. 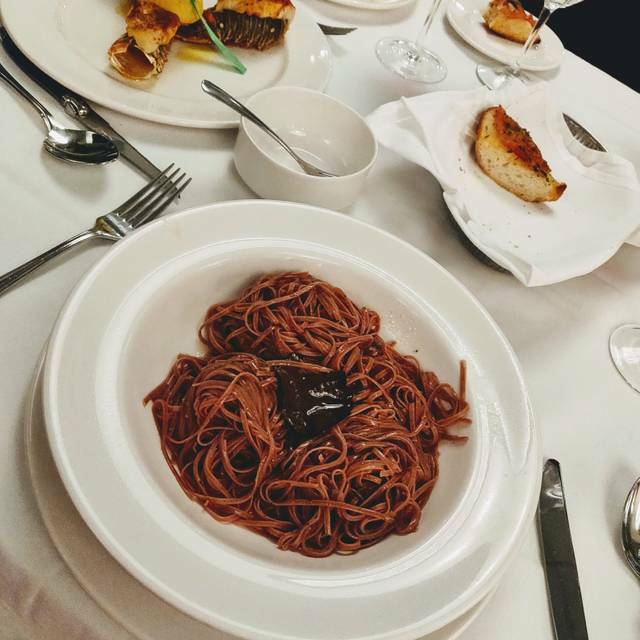 Un des meilleurs restaurants italiens de Montréal, sans aucun doute : cuisine de grande qualité, avec un service aimable, efficace, compétent, attentionné et pas du tout guindé. Et le rapport qualité-prix est favorable... Mérite le détour et le retour ! Wait staff attentive. Food was amazing. Had a group of 7 and everyone loved their meals. The manager was engaging and made the experience even that much better. Felt very family like. A lovely dining experience to be enjoyed. The food was excellent, the service sophisticated. Highly recommended for a special date or special occasion. Love. Love. Love. This restaurant. Excellent food and atmosphere. Impeccable service delivered with a great sense of humor. Loved the atmosphere, service and food. Will definitely return. A MUST in Old Montreal! 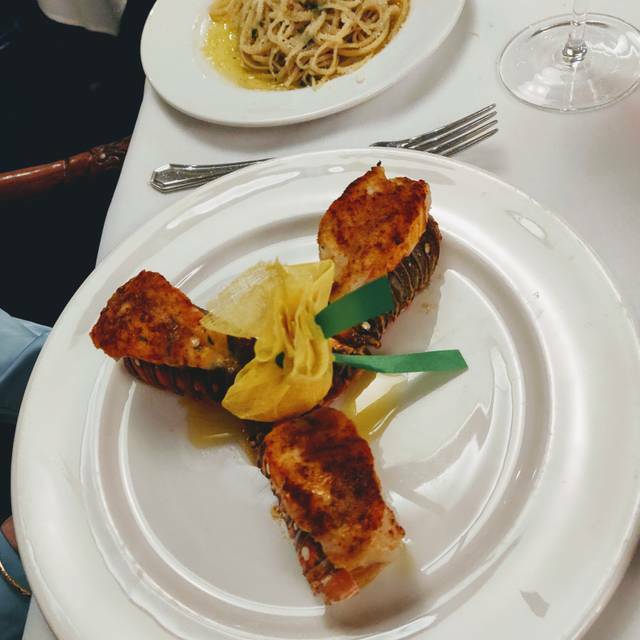 Sublime and authentic Italian food, absolutely impeccable service, and truly memorable evening. Wine list is varied and impressive. Accepted recommendation for white Italian wine and was delighted. Leek soup and eggplant parm starters were best ever tasted anywhere. My companion enjoyed the crab/shrimp pasta entree since spices were perfection. I applauded the Cornish hen entree with interesting root vegetable sides. Sicilian dessert pastries were heavenly rich. Atmosphere was conservation-friendly. Dining chairs were so comfortable and linens so fine. Appreciated the tapestry and furnishings as well. A MUST IN MONTREAL. BEST ITALIAN RESTAURANT IN TOWN. Exceptional food quality and service. You are made to feel at home and like family from the minute you walk into this lovely decorated restaurant. Well worth taking the night off to enjoy! Amazing food, great atmosphere and treated like a king by owner Leo and his team. No matter what the occasion might be, you can’t miss. If you are into fine Italian cuisine with a wine list that is extensive, I highly recommend this place. This restaurant is à Montréal classic, the attention to details, the service, there wine selection and above all the authentic taste. Great. The food is always great. I enjoyed the steak with due Pepe in the menu. My wife had the lobster tail surf & turf. I tasted it and wanted to split it. She said no way Pepe. Good selection of Italian wines. We had the Brunello Casa. The name Brunello never disappoints us. A sure winner all the time. Our two guests from TO were amazed how excellent the food & the service. Merci beaucoup pour votre accueil chaleureux et l'excellent service de Jimmy, super Martini. Félicitations au chef pour sa sole de Douvres! The overall experience was fair. Food was good but nothing overly outstanding. The biggest drawback was accessibility. There was major construction going on on the street where the restaurant was located and getting to it was a hassle not to mention trying to find a parking spot in Old Montreal. By far the most delicious meal in Montreal. Menu is simple, service ( Jimmy) is awesome. When the owner of a restaurant makes you feel like you're an old friend, you know you've found a neighborhood gem. The service was terrific, the food excellent (though slightly pricier than other similar restaurants in the area) and the atmosphere was wonderful. We will definitely be back. Strategically installed in Old Montreal, this restaurant has a long history in the city. The service is personalized and the quality of the food is above average. The wine cellar and selection of spirits are of plenty. This is not our last visit !!! Amazing hosts. Great food. Live music on Saturdays. Excellent food quality and exceptional service. Le Muscadin is excellent in every respect. The host and staff are very attentive and knowledgeable about food and wine. The dining room is a beautiful, comfortable space, nicely decorated and very pleasant. We enjoyed a delicious anti pasta for two and our pasta dishes were outstanding. My tortellini Muscadin May just be the best pasta dish I have ever eaten! The menu has a great selection of pastas, veal and seafood choices so it’s hard to decide. 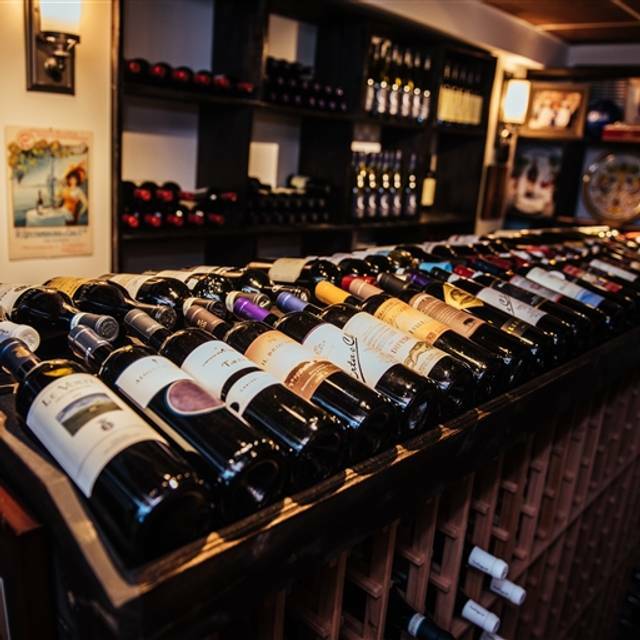 The wine list has a broad selection of great Italian wines. Our Barolo was perfect. Le Muscadin is not just a place for a delicious meal but rather a great dining experience for a special occasion, family gathering or a celebration. Great to see it back on the scene and top notch as ever..
WOWZERS THIS PLACE ROCKS. We went in expecting some good food and a good time, but what we got was a luxurious experience! Every sip of wine we took from our glasses was replenished almost immediately by the staff, and it seemed that not just one waiter, but all of them were paying attention to us and making sure we had a great experience. The food was wonderful and came out much faster than we expected. The whole place felt very friendly and magical!